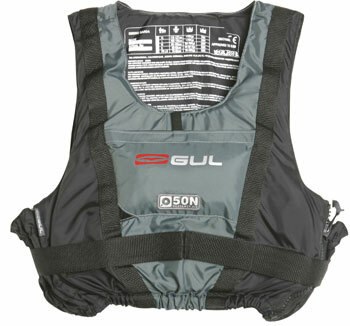 Buoyancy Aids are a very important piece of sailing kit as they will keep you afloat it the water. They are used all the time in sailing and everyone who involves themselves in the sport, should have access to one whether bought or rented from their club. They usually have armholes and neck holes. They are put on like a shirt. Then have straps or sips, or both, which will attach it securely to your person. If the buoyancy aid you have access to looks any different from this, then refuse it and get an new one. They are part of your safety at sea. Everyone is strongly recommended to wear one, even when there is safety boat cover, because it may take time to get to you. If the boat capsizes, then you may have to tread water for sometime to get around the boat and get on the centreboard. If you are not wearing one and do not do a dry capsize, you will have to keep your self out of the water and try and get on the centreboard. This is very hard (trust me I have tried). I always wear one, not only because it keeps me safe, but also because it is another layer to keep me warm. It also feels good to concentrate on the race rather than worrying that you will capsize. 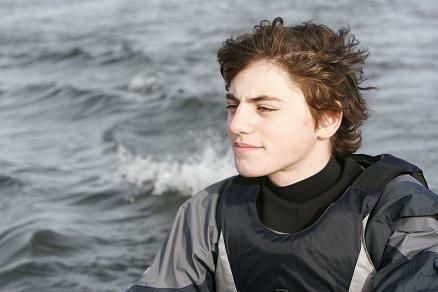 Wearing one also means that those who are less inclined to do sailing simply, because they are afraid of the water or capsizing can feel more at ease. Wearing one is highly recommended, but of course only you can make the choice. Be over prepared rather than under prepared, or it could cost you your life. If you are in tidal waters or a current and you capsize, you might be separated from your boat. In this case you will have to tread water a long time till you can get out. With one you will always be above the water and be able to thing about swimming to safety rather than being forced under the water by the current. Don't wear a buoyancy aid at your peril!